To take advantage of our DISCOUNTED "V.I.P ACTOR'S PASS" PACKAGE and to secure a place in our 2-Day Acting For Film & TV Workshop (Level 1), (Level 2) and (Level 3) in addition to The 2-Day Actor's Casting & Audition Bootcamp, along with 3-Years of UNLIMITED Refresher Courses, plus 50% DISCOUNT On Any Other Courses For 1-Year, please complete the online application form below. 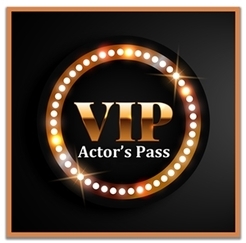 Additional Information: To enrol in the "V.I.P Actor's Pass" Package, simply complete the above application form and click the button "Register Now". Once you have registered your place we will prepare you a confirmation pack and email it to you within 48 hours. By clicking "Register Now" you agree to our Terms Of Service. If you selected to pay your course fees "In Full", then your card will be charged for the full $2,395. If you selected to pay using a "Payment Plan", we will charge your card a deposit (first payment) of $325. Your first payment will be within 48 hours of your application. Unless you have made other arrangements with us, the balance of your course fees will be split over seven additional payments of $325. Your additional payments will automatically be charged to the same card you used for your deposit (first payment) and these payments will take place one month apart to the day after the previous payment. 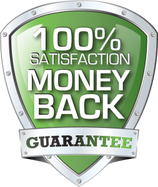 If you selected to pay using a "1-Year Membership", we will charge your card a deposit (first payment) of $48. Your first payment will be within 48 hours of your application. Unless you have made other arrangements with us, the balance of your course fees will be charged for an ongoing period for a total of 52 payments (1 year). Your weekly payments will automatically be charged to the same card you used for your deposit (first payment) and these payments will take place one week to the day after the previous payment.​ Do you have a credit with us from a previous course? 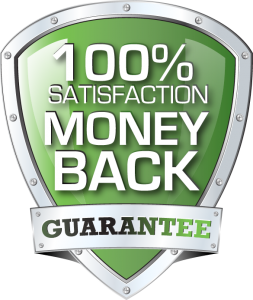 If so, simply contact us and mention how much of your credit you would like to use, and we will deduct this from your full payment or your final payment if you are paying on a payment plan. Can I use a Promo-Code? As this package is currently on sale and already discounted by $1,575, you're not able to use a Promo-Code as well, however the current discount is probably a larger saving for you, plus you can keep your Promo-Code for a future course and save even more. Financial Help: In an ongoing effort to help our students, we are happy to discuss an alternate payment plan. If you would like to discuss the option of an alternate payment plan with us, please contact us .